Pros: Rotates and extends a bit too. Other Thoughts: Like mentioned use this for computer, tv and stereo stuff. Keep under 1600 watts. I have a desk lamp on one in a tight location and was able to angle the cord in the direction I wanted because of the rotation. NICE. 209 out of 418 find this review helpful. Not for use with high-draw appliances! Pros: This is GREAT for use with laptops and other low-draw electronics in tight spaces! Cons: DO NOT USE WITH SPACE HEATERS! The 360-Degree Rotating Flat Plug on the Liberator Cable I bought MELTED when I attempted to use it with a space heater. Other Thoughts: Had this extension cord for a year or two with no problems. Never tried it with a high-draw space heater before. BAD IDEA! Luckily, I noticed the problem immediately, and was able to "nip it in the bud" before I had a fire. 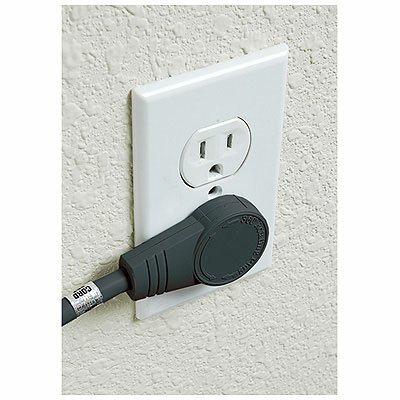 Yes, the Power Strip Liberator cords are rated for 1625 watts and are suitable for desktop electronics. Space heaters require 1500-2000 watts at a minimum. We're glad you did not experience further damage, but please do not use Power Strip Liberator cords for high-wattage devices. 198 out of 438 find this review helpful.